serial number 124907. Hamilton Baldwin Baby Grand Piano. 56" wide x 60" Long (deep) bleached c. 1950. Taken to black ebony rubbed finish 2005. Regilded, refelted, replaced tuning block 2005. Ivory keys replaced with synthetic (plastic) 2005. Restrung 2005. Includes non-original bench (circa 1950) with black leather. 3 claw feet, plus pedals. Rosettes on top of legs. Owned by grandmother 1928 to 2005. Owned by myself from 2005 to 2018. Thank you for submitting your item for appraisal. This appears to be a Hamilton Baldwin Baby Grand Piano in which the owners invested lots of time and money. This musical instrument is apparentyl in very good condition, which has a positive effect on the estimated value. 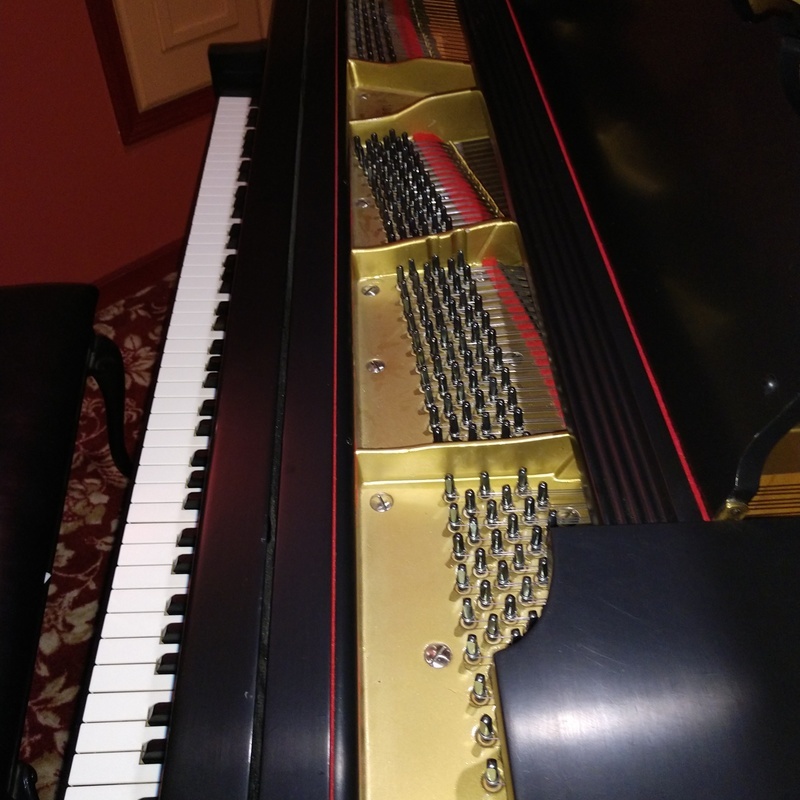 Similar baby grand pianos by the same manufacturer have been offered an sold at auction. The estimate is based on these results. "Asking" prices in the trade can be higher and vary. There is no measurement for the sentimental value you might attach to the item.